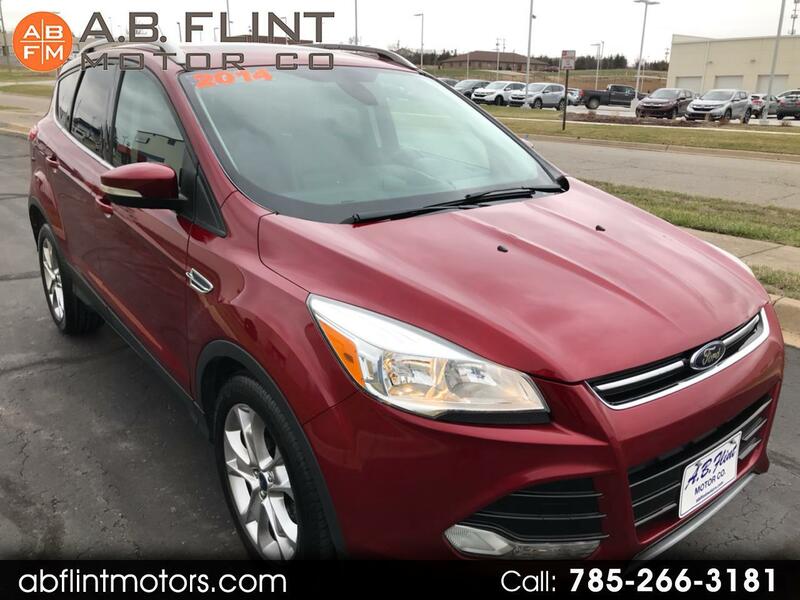 Used 2014 Ford Escape Titanium FWD for Sale in kansas city mo 64119 A B Flint Motor Co.
Beautiful condition! 2014 Ford Escape Titanium. This popular SUV has been one of the best sellers because it offers luxury and peace-of-mind without breaking the bank. This particular Escape is equipped with leather trimmed seats, 6 disc CD changer, heated front seats, back-up camera, blue tooth, power moon roof and much more.